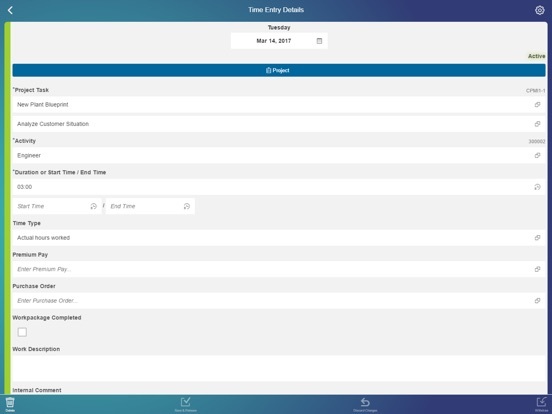 With the SAP Time Recording mobile app for iPhone and iPad, you can create your time confirmations anywhere and anytime. 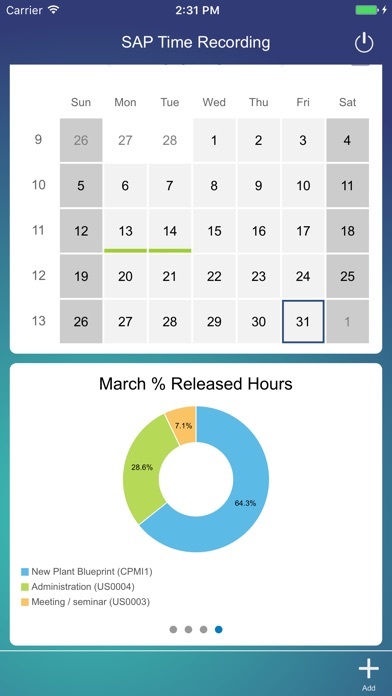 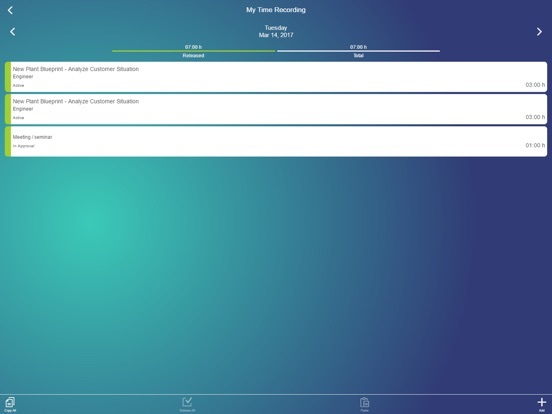 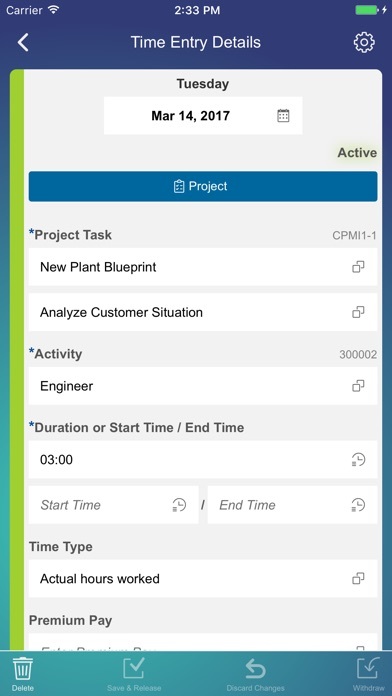 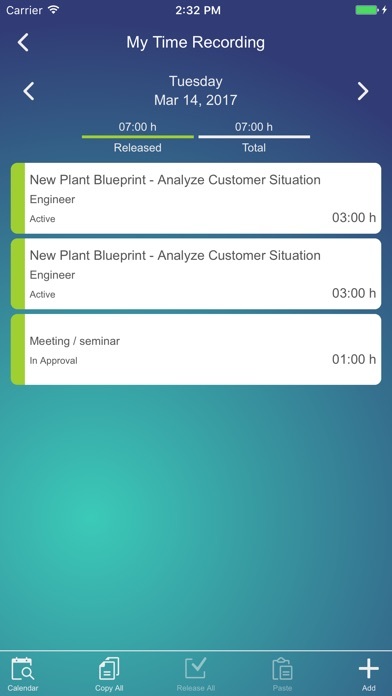 This app connects to the SAP Business ByDesign solution and allows users to record project time and time spent on HR activities right from their iPhone. 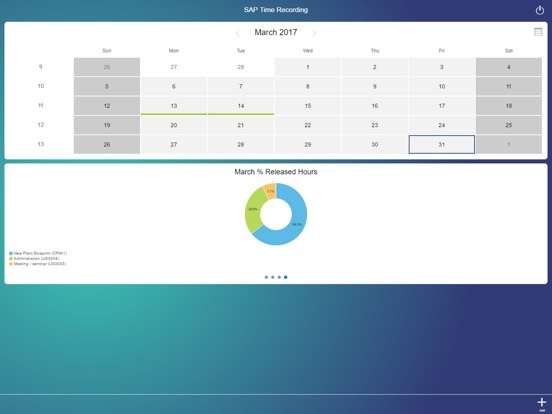 Note: To use SAP Time Recording with your business data, you must be a user of SAP Business ByDesign.